On a boulder to the right of the 25 Bosses path, by turning left at the path between the two hills. Sitstart with the two hands on a ramp, traverse to the right on the lip (without the fractured pedestal by convention) and exit on the right of the tree as for La Gerboulade. 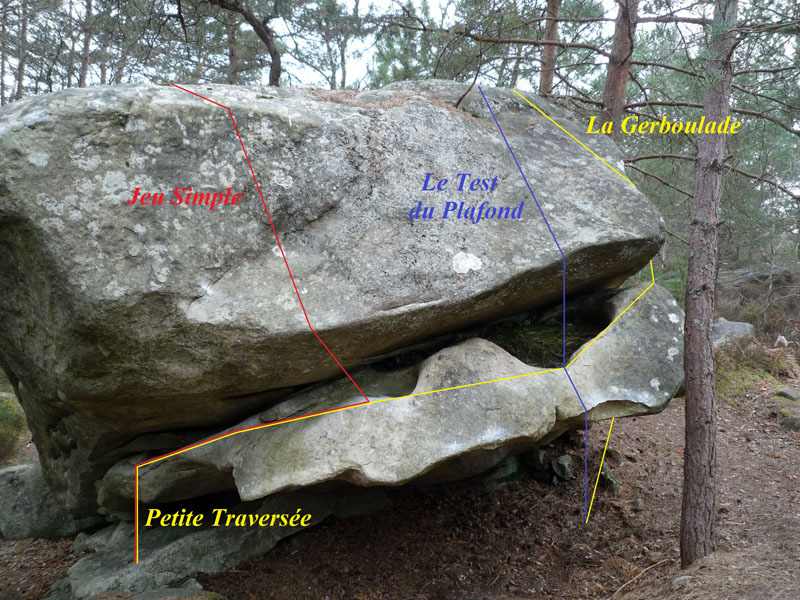 NB : it is also possible to downclimb in Le Test du Plafond up to the good pockets and exit in La Gerboulade (6c/6c+).